Fish oil. It’s no longer the foul tasting oil of your youth. Not only do high-quality fish oils smell and taste good, they provide the nutrients, thus health, the body craves—literally! The nutrients in question are the Omega-3 fatty acids, docosahexaenoic acid (DHA) and eicosapentaenoic acid (EPA). Extensive research connects DHA and EPA deficiencies to heart disease; brain disorders, such as ADHD and Alzheimer’s; diabetes; stroke; depression; arthritis; allergies; circulation problems; skin disorders; and gout just to name a few. By simply adding high quality fish oil to your health regime, you can vastly improve the health of your eyes, skin, digestive and immune systems, joints, and especially your heart and brain. Our highly processed Western diet has drastically changed America’s nutritional landscape. The use of vegetable oils in processed foods caused an enormous increase in Omega-6 fatty acid consumption, elevating the Omega-6 to Omega-3 ratio from its ideal 2:1 to an estimated 20:1. In some cases, it’s even as high as 50:1. Omega-3s can reduce inflammation, while Omega-6s may increase inflammation. Omega-3s can prevent excessive blood clotting, while Omega-6s may promote clotting. Omega-3s can moderate immune system reactions, while Omega-6s may often make it over-react. So you can see how an imbalanced intake can create imbalance in the body, leading to disease. A fish oil supplement can help create that needed balance. In regard to cardiovascular disease, the benefits of Omega-3s are so well understood and accepted that the American Heart Association published statements recommending increased fish intake and/or the use of fish oil supplements. One study even showed that the Omega-3s in fish oils cut your risk of sudden death from heart disease in half. At least one epidemiologic study has shown that patients with Alzheimer’s disease have significantly lower levels of Omega-3s than healthy seniors. Researchers report that older people can reduce their risk of developing Alzheimer’s by increasing their intake of fish and fish oil (DHA). Omega-3s from fish oil are also a great choice for optimal nutrition during pregnancy, not only for fetal development, but for the mother as well. DHA is the most abundant Omega-3 long-chain fatty acid in breast milk and studies show that breast-fed babies have IQ advantages over babies fed formula lacking DHA. Research also shows that by adding DHA to her diet, a new mother can significantly decrease the possibility and/or effects of postpartum depression. When selecting a supplement, choose a product that delivers a high concentration of DHA and EPA per serving. Finally, be sure to look for oils that are clean. 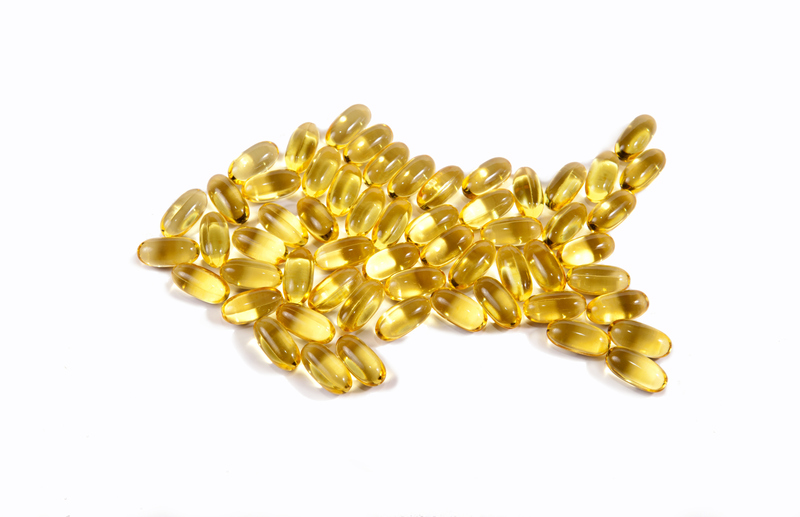 Some brands that we recommend for their high-quality fish oils include: Nordic Naturals, Carlson Labs, and NutriNeeds.